Pastor Denny Patterson, accused of molesting at least eight children as a pastor at a Nashville church. 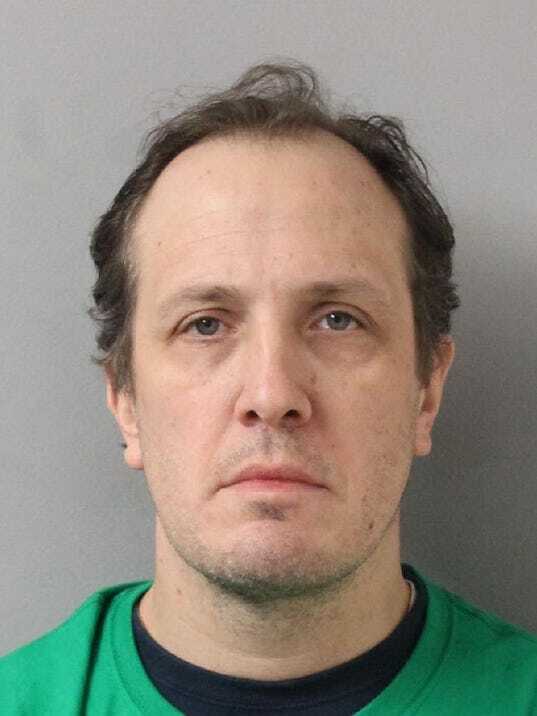 “Metro police have arrested a pastor accused of molesting several children across two decades while he was leader of a South Nashville congregation. Matthew Dennis Patterson, known as Denny, served as pastor of Nolensville Road Baptist Church for more than 20 years. He resigned on Sept. 24. Days later, members of the congregation came to the police precinct on Harding Place with complaints about his requests to “engage in strange activities” with children, authorities said. Nashville police arrested Patterson in Pennsylvania on March 8 — he refused to talk to investigators. Patterson was extradited to Nashville on Friday, and his bond was set at $100,000. Leaders at Nolensville Road Baptist have been “fully cooperative” with the investigation, according to police. In an interview Friday night, church member James Thomas, who is serving as a spokesman on this issue, said Nolensville Road Baptist would continue to work with police. James Thomas said church leaders had no inkling of the allegations against Patterson until he resigned. Patterson abruptly left the church on Sept. 24, saying he wanted to spend more time with his family. “The next day we found out the truth,” he said. On Sept. 25, James Thomas said, a church member shared the allegations with leadership. The church reached out to a lawyer and told Patterson, who lived in the parsonage next door for about a week after he resigned, that he was no longer allowed in the church. They took Patterson’s church phone and laptop and sealed off his office. Then on Sept. 26, church leaders met with an attorney who advised them to go to the police. Church leaders filed a report on Sept. 27. They turned over Patterson’s phone and computer and gave police access to the church property. “We here at Nolensville Road Baptist Church want to let our community know that the sinful actions of one man does not reflect upon the church as a whole,” a prepared statement provided by James Thomas said. “We remain committed to truth, transparency in all our operations, and for the care and support for the victims and family who have been victimized by the alleged perpetrator. James Thomas said he felt the church had been “betrayed,” but added that they were working to reassure the congregation of more than 100. He said church leaders had given congregants updates on the investigation and encouraged any other victims to come forward. “We’re a family and so we try to help each other with what they’re going through by listening and giving scriptural help,” he said. Nolensville Road Baptist is a small red-brick church across the street from a taqueria and a Piggly Wiggly in South Nashville. A small cemetery sits behind the building. The plot also includes the house next door, which has been used as a parsonage. Sunday school classes and a nursery for children of all ages are available. Spanish-speaking and Nepali congregations also use the building for their services. The church had grown in recent years — they bought a second house on an adjoining lot in March 2017 for $150,000, property records show. Patterson touted the purchase as a long-held dream on his Twitter account. Thomas said the church bought the land so that children and families would have more space to gather and play outside. Nolensville Road Baptist is an Independent Fundamental Baptist church. In the church’s statement of faith, it cites the Bible as the only authority for faith and practice, belief in the sinful nature of man, biblical family roles and local church autonomy. Patterson was a vocal opponent of anti-discrimination bills considered by the Metro Council in 2003. The measures were designed to protect jobs and housing for lesbian, gay and bisexual people. “We want to make sure we keep the pressure on, let them know that anytime they bring this up, we’ll be down here to oppose it,” Patterson told The Tennessean in an article published Feb. 5, 2003. Mention of Patterson was scrubbed from the church’s website after he left the church last year. But an archived version of nolensvilleroadbaptist.com includes a message from the former pastor welcoming visitors to Sunday and Wednesday services.